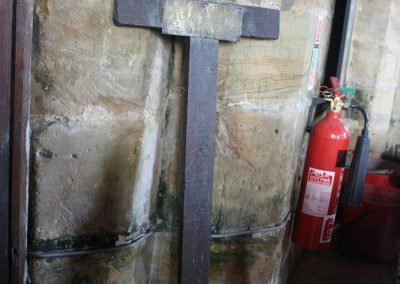 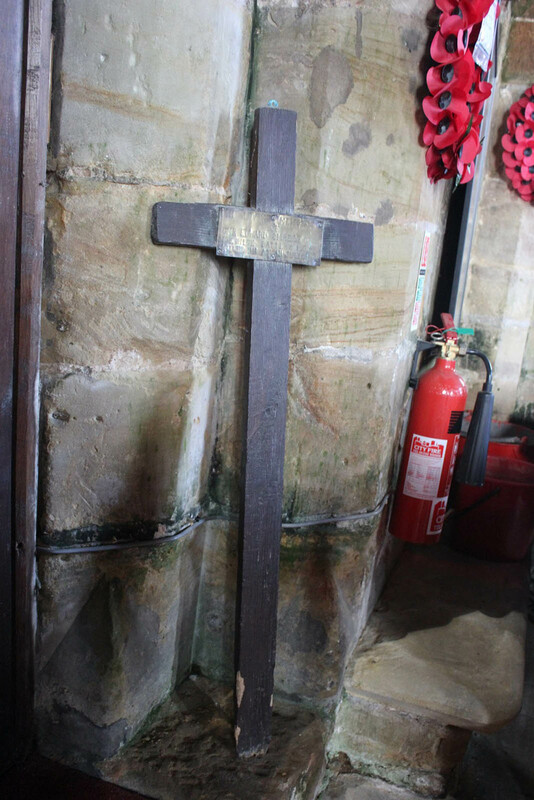 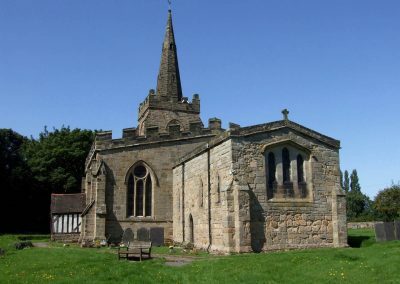 Condition: a section of wood at the back of the cross beam on the left hand side has split away but otherwise the woodwork appears to be sound with some evidence of deterioration at the base where it was inserted in the ground. 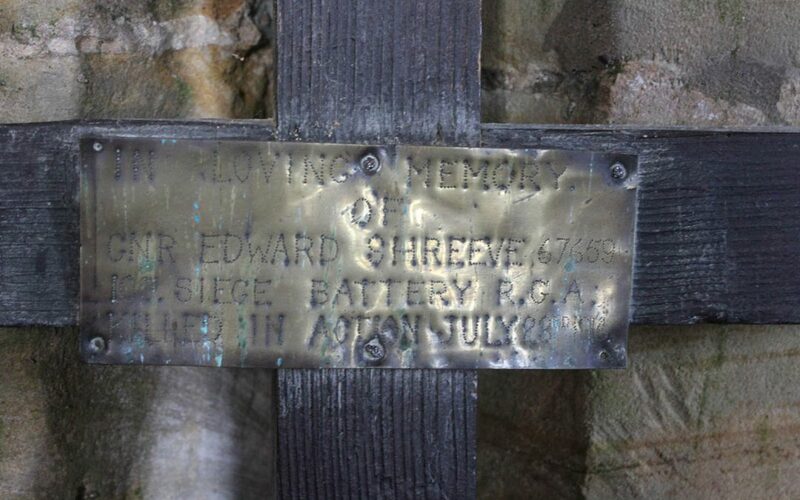 This battlefield cross marked the grave of 67659 Gnr Edward Shreeve 105th Siege Battery Royal Garrison Artillery. 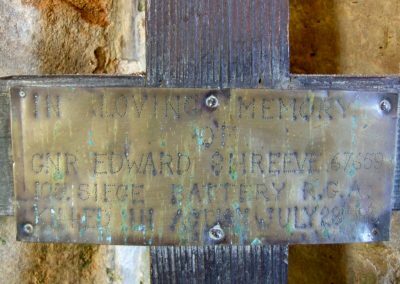 Edward was born in 1897 in Derby, one of six sons born to Richard Hanson Shreeve and Ellen Shreeve of The White House,Weston on Trent. 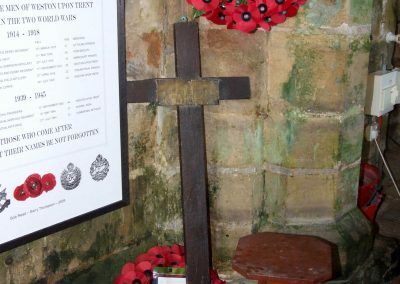 His father worked as a joiner in the building trade.He was killed in action aged 19 on 23rd July 1916, the first day of the Battle of Pozieres on the Somme and is buried in Peronne Road Cemetery, Maricourt, grave reference I.D.39. 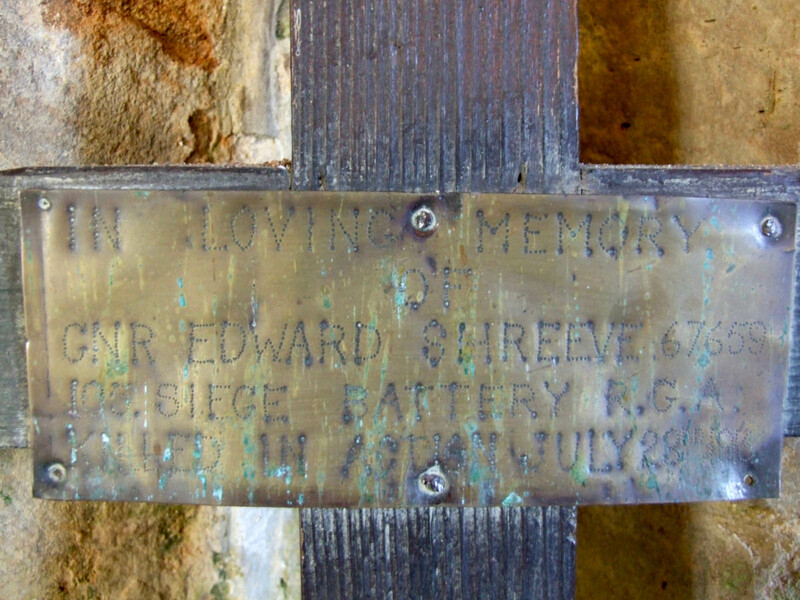 One officer and 8 other ranks serving with the 105th Siege Battery R.G.A. 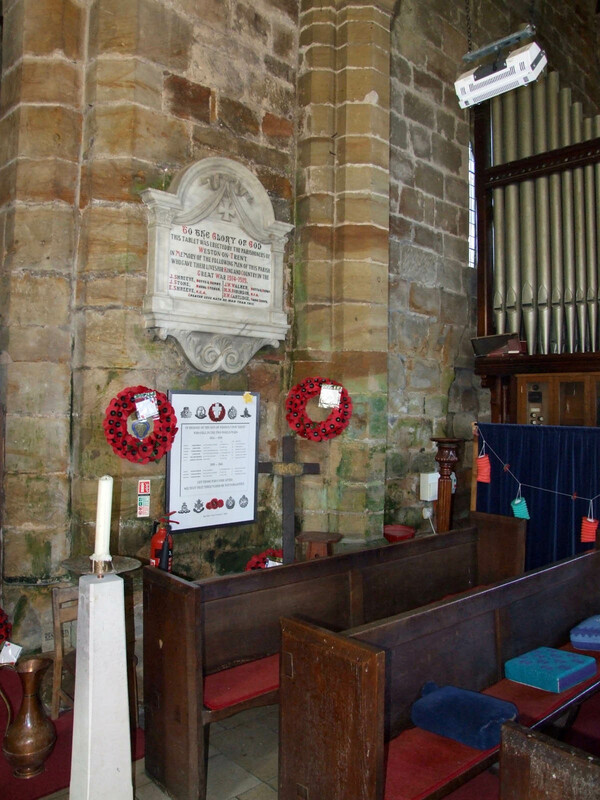 firing 12 inch howitzers were killed on the same day and are also buried there. 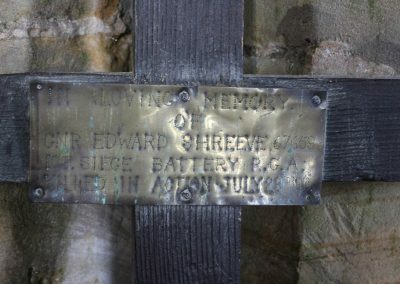 Edward was awarded the Victory and British War Medals. 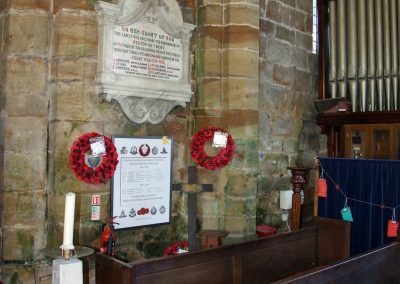 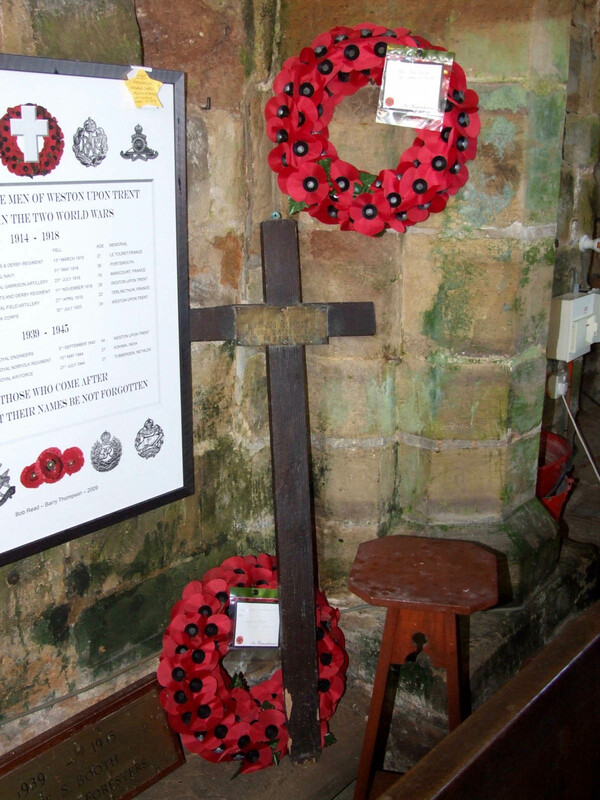 Many thanks to Richard Clarke and Chris Preston from https://derbyshirewarmemorials.wikispaces.com for additional photographs.